Are you confused by the title? 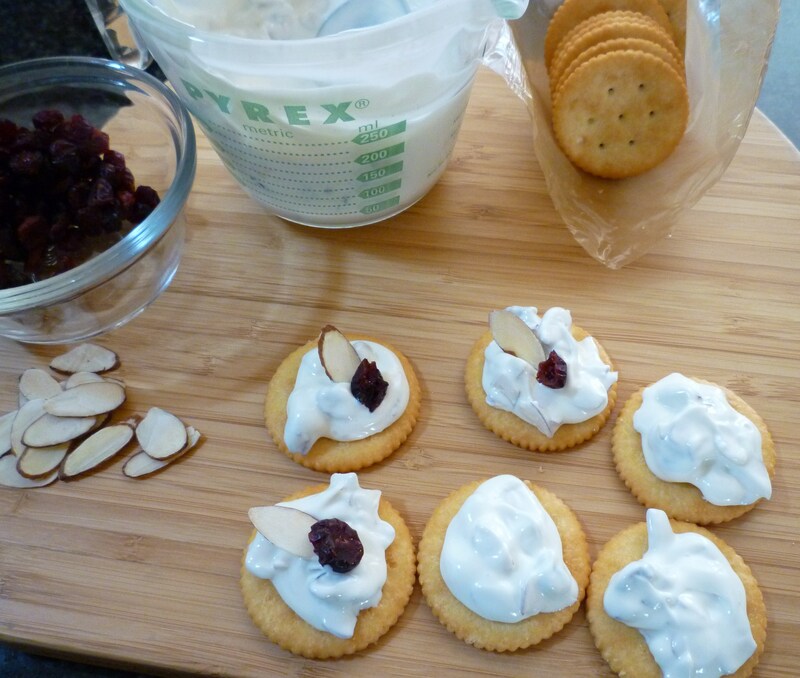 Son #3 was confused when he saw this creation … he assumed that cream cheese was on the Ritz! Is this an appetizer … after all it does involve a cracker … or … a dessert … it does contain white chocolate? How about an appe-ssert or maybe a dessert-izer? It really doesn’t matter what you call it … it’s quick, easy and something a little different. They have that salty – sweet thing happening. Make them … they will make you happy! Take them to a party … they will confuse everyone … then make everyone happy! 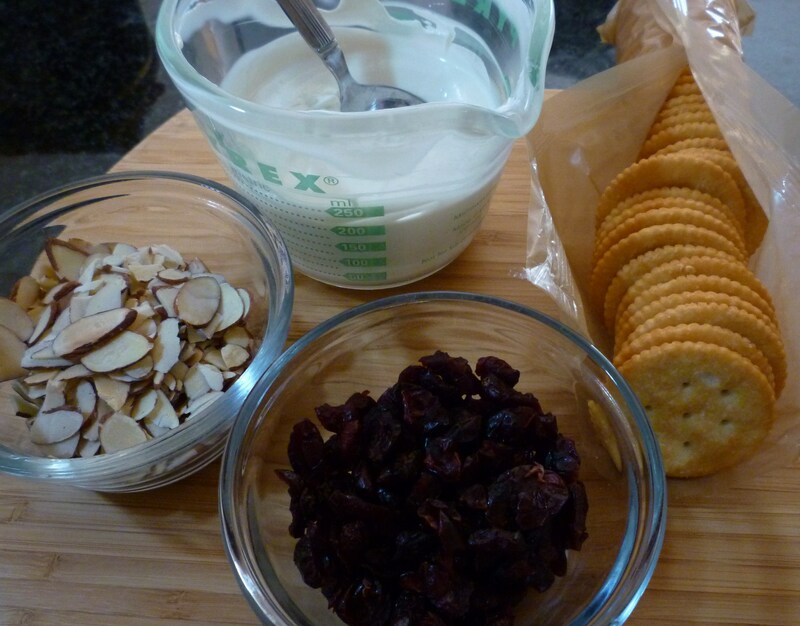 Mix 1/4 cup of almonds and 1/4 cup of cranberries (save remainder for garnish) with the melted white chocolate. 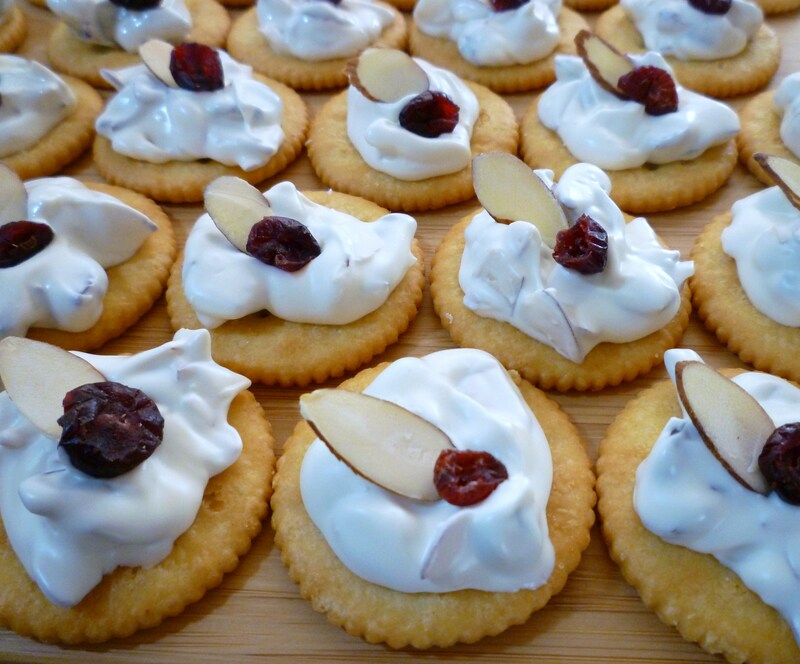 Spoon chocolate mixture on crackers and garnish with remaining almonds and cranberries before chocolate hardens … easy peasy! My hubby says it’s a substitute for a chocolate dipped pretzel. I ♥ your comments … Is it an appetizer or dessert? P. S. I will post just a few more ideas to before Christmas. Hmmm, I may have to change my mind about what I’m taking to a dessert party this weekend! Brenda, you’re leading me astray again. It is an appe-ssert and I love the sweet and salty thing. Salted Ritz crackers and white chocolate, YUM!! 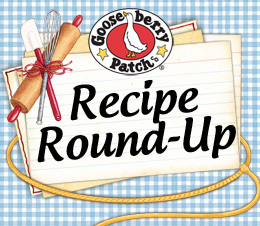 You do mean 1/4 c. of almonds & 1/4 c. of cranberries – right? (mixed with the chocolate). They’ll last only seconds once served, but I’m wondering if you know how long you can let them sit before serving as you don’t want the crackers to get stale. ??? Oh, how yummy these look.